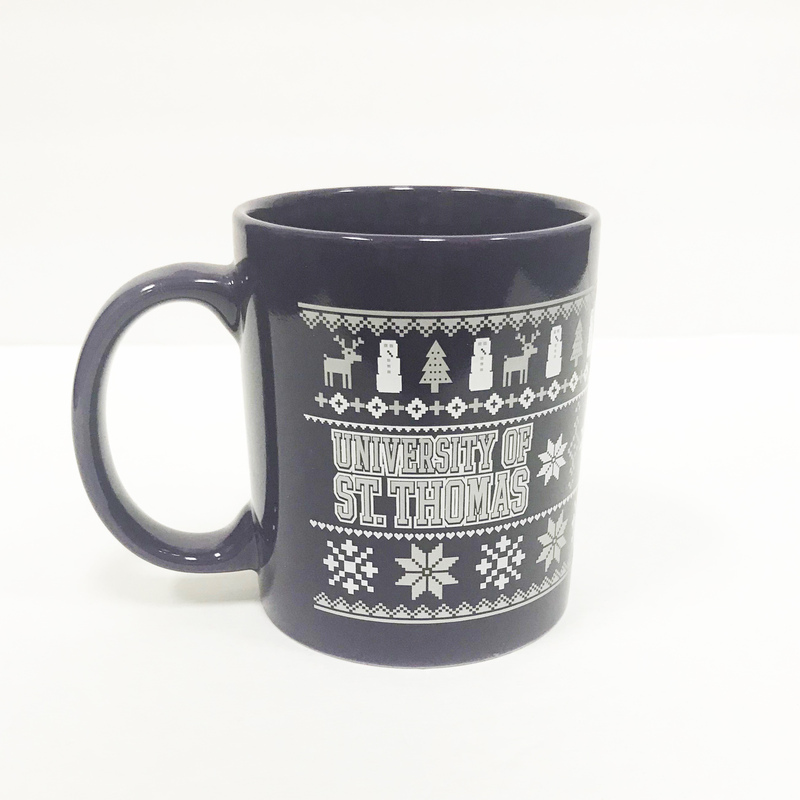 From Deneen: "Our first Footed mug came off the line in 1996 and has remained a customer favorite ever since. In fact, the Footed mug is our second most popular handmade pottery mug style. Like the Round Belly, it has a nice sturdy bottom with a tapered top. These features allow your beverages of choice to retain their heat, while also making it a very satisfying mug to hold." Frosted Stein by Spirit. 2 sided printed stein. Tomcat on one side and "St. Thomas Tommies" on the other. Hot or Cold Beverage Bottle. h2go swig 14oz double wall stainless steel thermal bottle with threaded stainless steel insulated lid. Vacuum insulated & copper lined. 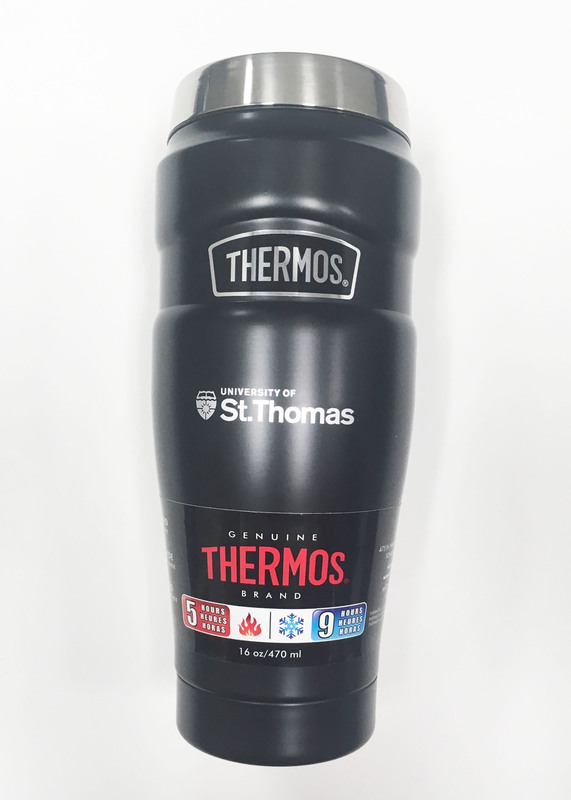 Keeps hot beverages hot for 8 hours and keeps cold beverages cold for 16 hours. 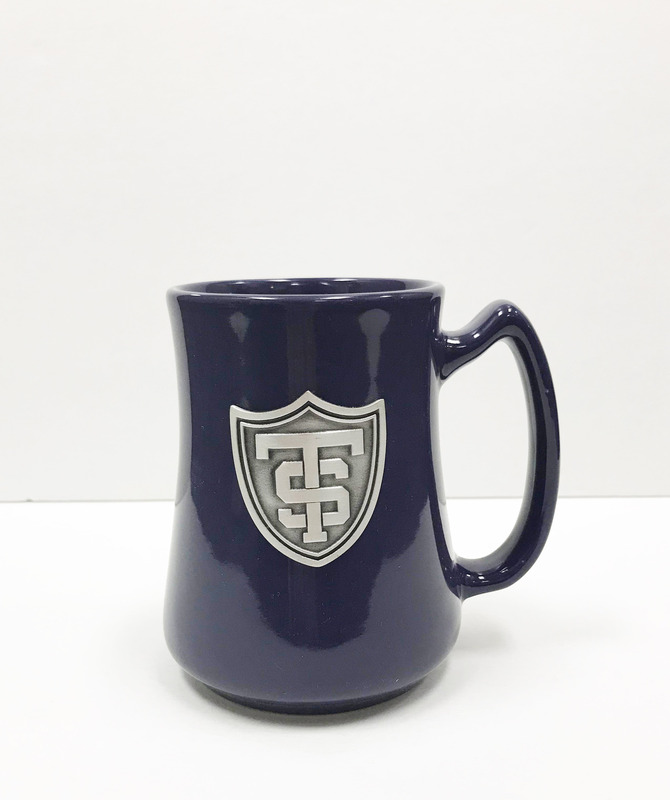 Mug- Black ceramic mug with silver institutional shield and St. Thomas by Spirit. This mug features a ridged top. 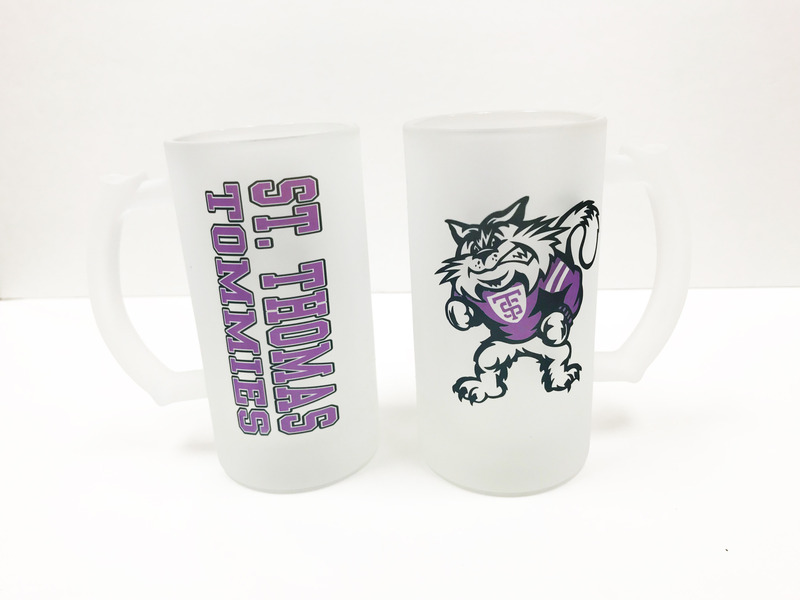 Mug- Grey ceramic mug w/ purple & white athletic shield and "St. Thomas"
Mug- Purple ceramic mug with white print by Spirit. 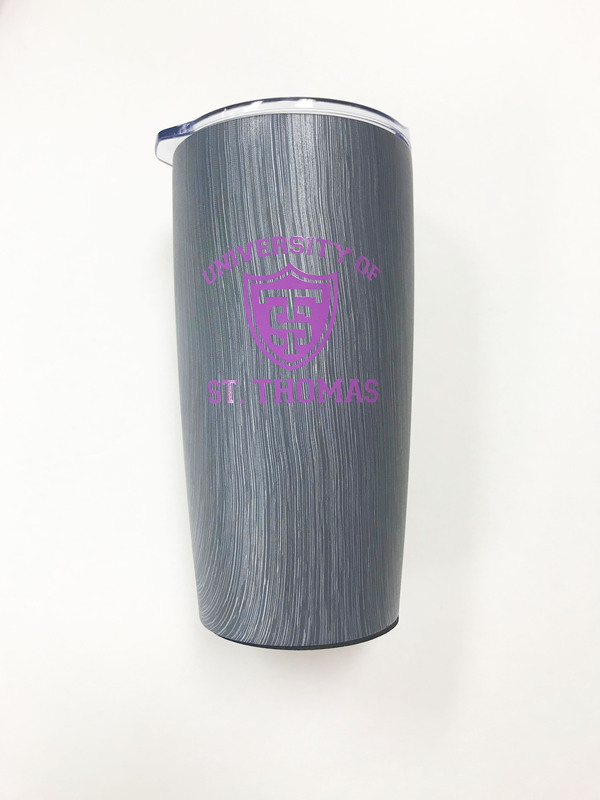 "St. Thomas Tommies EST 1885"
Please select option for Mug/Thermos- Travel Tumbler with St. Thomas logo. 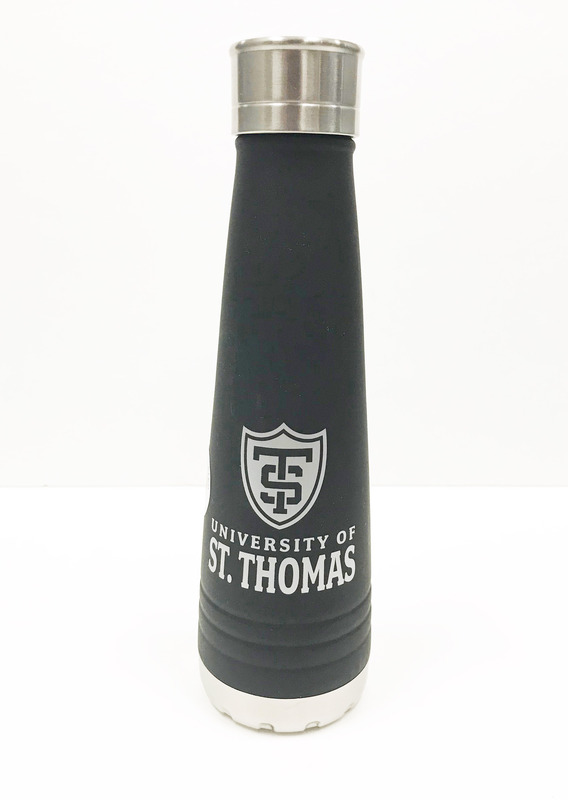 Tumbler- Black travel tumbler with MN UST logo by Spirit Holds 16 fluid oz. MUG-10 OZ Minneapolis/St.Paul Skyline. 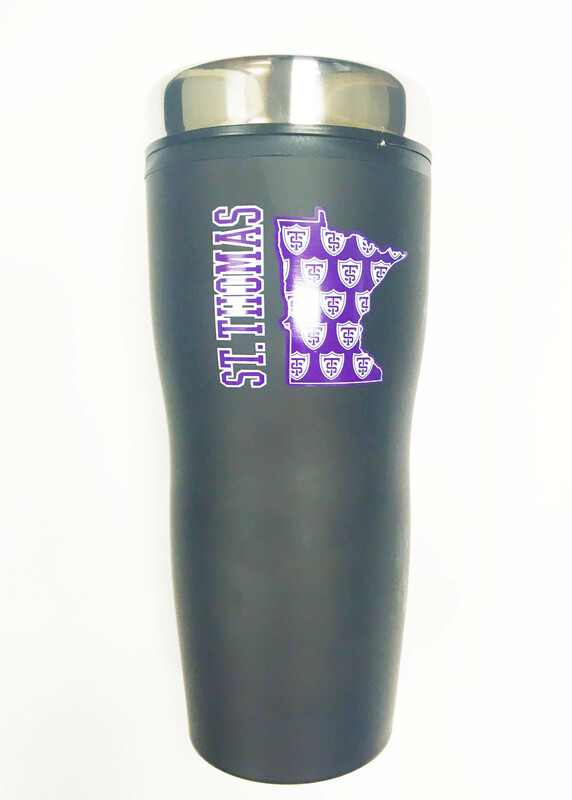 This mug features a beautiful mix of the St. Paul and Minneapolis skyline with the Athletic Shield and "University of St. Thomas"
This tumbler features a slide top for easy drinking and closure. Stock your shelves with Tommie Spirit with these red wine glasses. Sold as singles. These handsome coasters are the perfect gift for any Tommie in your life. H2GO water bottle to hold your 40oz of hot or cold beverage. Stainless steel with copper vacuum insulation. Will keep hot for 12 hours, cold for 24 hours. 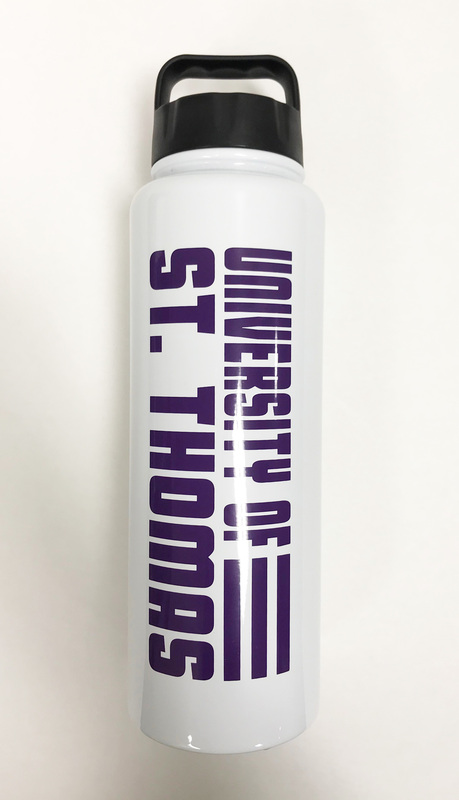 Hand wash.
Toast your St Thomas spirit with this white wine glass. Sold as singles.